There isn’t much that Hanah doesn’t do. From being involved in leadership programs, organizing community events, to teaching yoga to a variety of folks, she is constantly making a positive difference in every space she steps in. 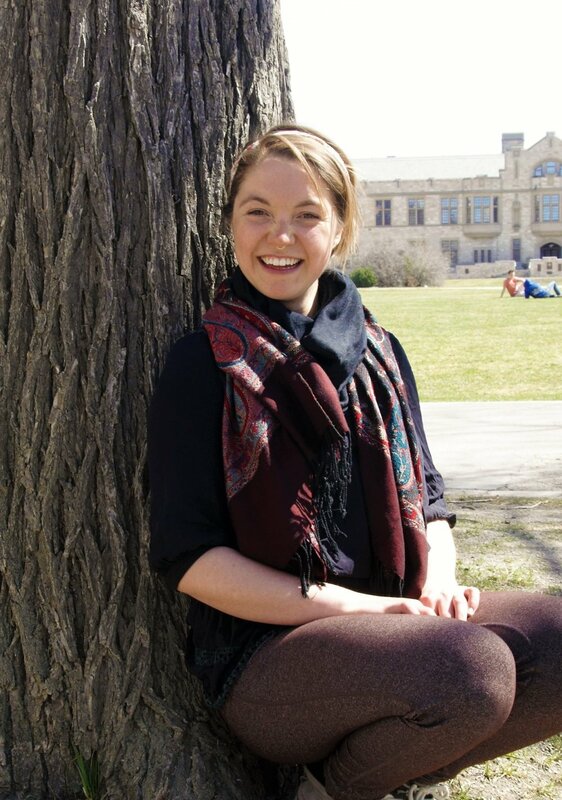 She is also a student adviser at the University of Saskatchewan, and is currently studying Social Work. Through this program Hanah is honing the skills to effectively and compassionately address complicated societal issues that we currently face. Hanah is passionate about issues regarding poverty, and addictions, and tries to remove the stigma people face when they are in these positions. She is an ally and advocate for people and communities that are marginalized, and she is constantly working to help those around her. When there is an injustice going on, you better believe Hanah will be talking about it and somehow getting involved in ways to change or mitigate the situation. She is continually looking for ways to challenge herself and grow as a person. She is open to learning new things, and is always willing to teach people about what she has learned as well. Hanah is innately a welcoming person, who is easy to talk to. She has a natural ability to create comfortable, safe spaces wherever she goes. I am constantly learning from her gentle, but fiery spirit. Mostly, Hanah loves life and the natural world around her. The little things, like a lovely home cooked meal or peanut butter on anything, will make her happy. When she’s not busy with school, projects, yoga, or advising, you can find her river walking, eyes sparkling, with a booming laugh that you can hear blocks away. Hanah just shines, and in doing so, she brings out the light in others too. As a full time Social Work student, my extra curricular projects are limited! However, as the semester winds down, my creative juices have started flowing. Currently, I’m in the process of developing an ongoing project that will blend yoga philosophy with social and environmental justice. As I continue to teach and practice yoga while submersed in social activism, I find intersections, controversies, and incredible relations between the two worlds. I want to encourage my fellow practitioners and teachers to engage in our communities in compassionate and empathetic ways; to live our yoga practice off the mat. My passion lies in co-creating inclusive, culturally safe places where we can work together to heal body and mind and then share that strength with our communities. Stay tuned! Currently I am working as an Academic Peer Advisor at the University of Saskatchewan. It involves supporting and empowering students along their academic journey and providing resources in the communities that could meet their needs. This job allows me to practice compassionate communication and meet some pretty wonderful, excited, and ambitious students. What I love most about this job is being alongside a student as she transitions into a new chapter of her life! It is a beautiful transformation to witness and I am incredibly lucky I get to be a part of that! I think the most challenging aspect is seeing the extent of pressure that is placed on students to succeed. Society has created incredibly high standards for success on our people and it is difficult to watch how impactful those standards can be on our health and happiness. Lately - allyship. As defined by google, allyship is “not an identity - it is a lifelong process of building relationships based on trust, consistency, and accountability with marginalized individuals and/or groups”. This speaks to me: I feel committed to this practice. This year has been transformative for me as I learn more about social change and allyship both in the social work program and through Next Up, a leadership group I am apart of. To me, this involves educating myself on local and global issues that I can stand up against in support of those who are directly affected. It means softening into uncomfortable situations to expose racism, sexism, classism, etc and position myself in a place of privilege amongst it all. These days, allyship is paramount in my life because it breaks barriers for building relations with people despite any difference. It brings me closer to the land, my family, and my communities. Saskatoon has been my home for almost 3 years now. What I love most about this city are the people who are leading us towards social and environmental justice. I have felt engulfed in the community movements that continue to fight for equity and justice and amidst it all, I feel a warm sense of belonging. The active and engaged folks in Saskatoon continue to inspire and challenge me to be a part of change. I love the land here: the flowing river and incredible trees are my retreat away from the buzz of the city. Amidst this bliss, I am still disappointed in the pervasiveness of racism in Saskatoon. There is a lot of work to be done to challenge individual and systemic racism in our city, province, country. Regina represents my past. I was raised in that city and faced levels of hardship that I am still processing and healing today. I grew up in an unstable home full of substance abuse, violence, and mental illness which catalyzed my movement in-and-out of homes of my extended family or friends. A great deal of my formative years were spent confused about where the safest place for me was. This had a substantial influence on my self esteem, my sense of identity, and feelings of worth and belonging.The city also symbolises my process of grieving my father, two older brothers, and the life I used to know. It has been 3 years since I have lived in Regina and in that time I have gained a healthier relationship with the city and the people in it. However, my impression of Regina remains a delicate story that continues to ebb and flow with my healing process. Most recently, by winter cycling! This year, my winter meditation became braving the -30 to the sound of my studded tires cutting through ice and snow. I feel a sense of comradery with my fellow winter cyclists that keeps me alive, as well! As always, I love the introspection that winter brings; I spend a lot of time tucked away from the cold: writing, pondering, singing. Keeping up with my yoga practice is my daily, year-round medicine but it is especially invaluable on a cold day. The warmth I experience from breathing and moving in a group of people sustains me. From Proust’s questionnaire - Who is your hero(es) in real life? Cindy Blackstock, Director of First Nations Child and Family Caring Society has been an incredible influence on my life lately. A significant amount of my academic year has been focused on studying Aboriginal child welfare issues which directed me towards Blackstock’s tireless work in advocacy of First Nations children in Canada. She spent nine years fighting against the federal government for equitable and culturally safe child welfare services for First Nations children and remains a persistent activist against this injustice. 2016 marks a tremendous victory in this fight, as the Human Rights Tribunal found Canada guilty for racial discrimination due to significant underfunding of services to First Nations children. Thanks to Blackstock’s perseverance, the voices of First Nations children were amplified across Canada. I admire her fierce determination. She has never given up on these children and continues to stand against systemic racism and oppression.